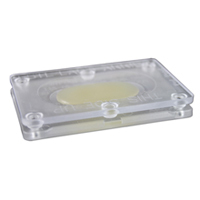 This small plastic detection device contains a proprietary attractant gel that actively lures and traps bedbugs, if they are present. Simply place under the mattress or anywhere bedbugs are suspected, and monitor daily to detect problems before an infestation takes hold. Bed bugs have crawled their way into every major city and are taking big bites out of the bottom line. Bed bugs can appear anywhere – not just in hotels, dorms and nursing homes, but also in offices, retail establishments, and public transportation – anywhere soft furnishings and people are available! Replacing property such as furniture, linens, mattresses, carpets, curtains, etc. Bed bugs are found in homes, apartments, dorm rooms, hotel rooms, airplanes, public transit seats, cars and moving vans – pretty much anywhere they can find a human host. 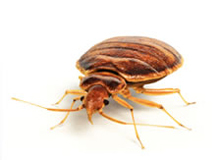 Bed bugs attach themselves to clothing and other belongings and are (unknowingly) transported to new locations. Bed bugs are known to carry at least 27 agents of human disease, including the drug-resistant bacteria (or “superbugs”) MRSA and VRE, and even Hepatitis and HIV (according to the Centers for Disease Control and Prevention Journal). Scientists are still working to determine the threat of transmission. This is Why You Need the Bed Bug Alert! 12-Pack Dimensions: 4" x 5" x 7"